Gareth Bale sealed Real Madrid's derby victory in the 75th minute by adding the third goal in a 3-1 win. He replaced Vinicius after 56 minutes and after receiving the ball from Luka Modric, drilled home for his 100th goal in the club's shirt. 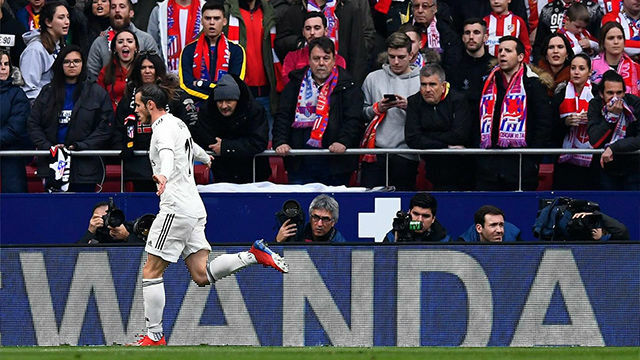 Madrid have moved within five points of leaders Barcelona and are back in the title race after the derby win, with Casemiro and Sergio Ramos also on the scoresheet.